Fall Fishing In The Rockies..Looking For Big Trout! Fall Means One Thing...Great Fishing! Fall is by and large my favorite time of the year to fish. When there's gorgeous 70' days, fall colors, big fish getting anxious and a hallpass to get away, I'm all about chasing some trout! Where do I like to go and meet up with friends? Small water or big water it doesn't matter to me. This time I met up with a few friends due west of Denver and the bite was on all weekend long. Sight fishing big rainbows was the name of the game. 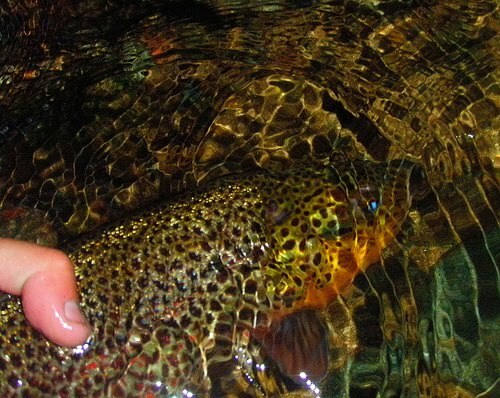 Fall means big browns but in this case, big rainbows needed some loving as well so I was happy to oblige. I saw this young lady looming in the distance and after about an hour she was mine, ahh the joy of sight fishing with a size #22 hares ear! 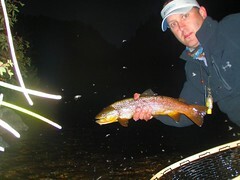 The Midnight bite can never go wrong, I just need to watch my backcast and be careful of my tandem streamers whizzing by my head at 50mph! 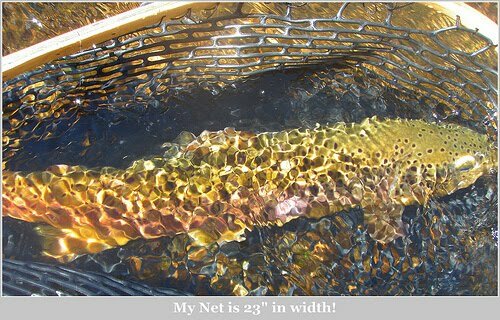 What better way to enjoy a great time out than to grab my headlamp, 6wt G loomis, big net and a few favorite patterns to chase some big boys. Travis and Mark with some tandem action! Double hook ups never means a bad start to the day and 2 minutes later Troutdawg was hooked up as well! The weather treated us nicely and despite a few people with the same intentions, it all worked out just fine. Nice PMD hatches, midges and more midges, light tippets, plenty of sunscreen and good poloraized glasses were all that mattered this weekend. 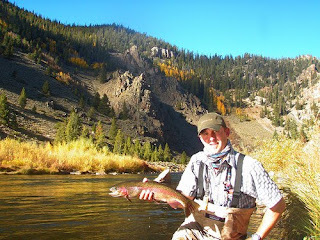 Fall Colors, Trout Fishing and Good Times Part II! We thought since we had such a great time recently on a few trips to keep the theme going. Each weekend we've been able to get out it's been super nice. 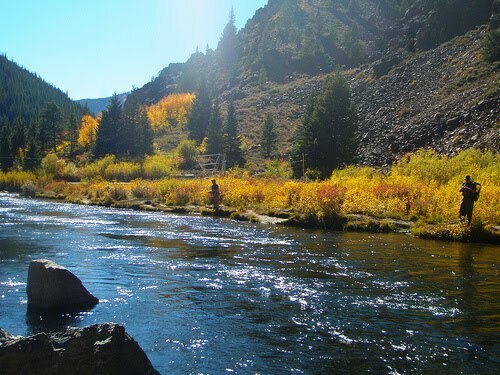 Nice weather usually = not good fishing but better yet perfect weather is better suited to chill riverside and take a nap. We did it all, fish and take a few siestas. This piggy came after much work. After far too many break offs I had to get serious and land a decent trout. That came one morning after getting streamside at 6:30am, man what a sweet morning that was. 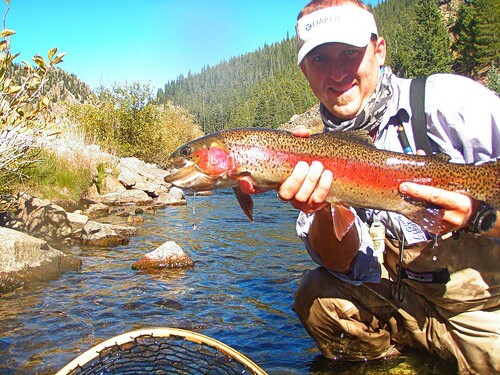 A few decent rainbows and it was time to do wat I came for...chase big browns. 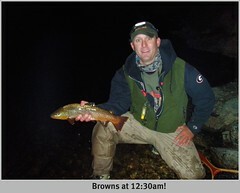 One 10lb brown gave in to a secret midge pattern only to run away and jump kindly as to say "not today mate"! Boy was that a heartbreaker. This guy above fell to a green midge pupa and ran far away as well before netting. Size on him was nice, the length of my net was 23" so you decide? 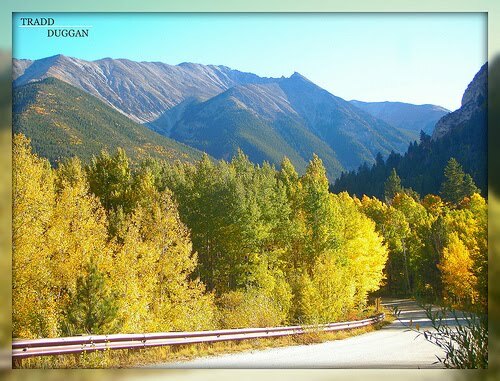 Fall in the Rockies, is there a more prettier site around than this? I could do this every weekend, hey I forgot...I do get to do this every weekend. Night time action for browns is so hard to beat for me. Chasing browns on either streamers, caddis, midges or shrimp all proce effective. I love the midnight air, few crowds and knowing any given momemt orca could show up at anytime. This time no but maybe next time. 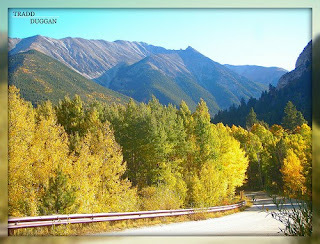 More Colorado Fall colors to inspire me to grab that camera for a few shots down South. 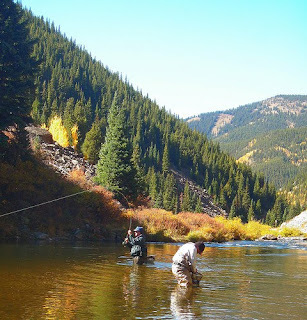 Whether it was a day hike, fishing, biking, or a photography getaway it doesn't really matter. If only we had Fall 3 months a year! 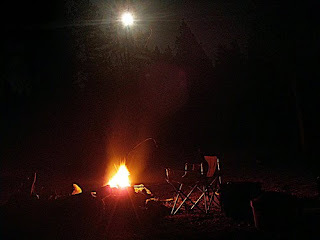 Night time escape in the hills away from any forest road, full moonlight, a herd or Mule deer by our tent and one heck of a dinner made this a night one we caqn hopefully duplicate soon.